Since 1978, Cooper Spur Alpine Team has provided our community with programs designed to develop youth skiing. CSAT offers ski and mountain bike programs for children of all ages who want to become expert, all-mountain, and life long skier and riders, while having fun and learning to compete. In 2012 CSAT added Freeride and Mt.bike programs, broadening CSAT’s mission to include a variety of mountain sports. CSAT’s coaching staff is dedicated to helping racers and riders at all levels achieve their goals. However, excellence in skiing and competition is only part of our mission. Our programs help youth develop important life skills and values such as cooperation, teamwork, positive attitude, honesty, and dedication. We also pride ourselves in producing some of the top racers and riders in the Pacific Northwest. CSAT is not owned or operated by Cooper Spur Ski Area. We are an independent entity who conducts its programs at both ski resorts, Cooper Spur and Meadows, and is supported by the ski area with grooming services, storage facilities, and trail closures for racing. CSAT is a non-profit 501 (c)(3) volunteer organization comprised of athletes, their parents, coaches, and alumni. Program fees pay for approximately 60% of our expenditures. The remainder of our budget depends entirely upon fund raising activities, donations and local business sponsorship. CSAT has an average of 120 participants per season in our race and freeride ski programs. Our summer programming includes a youth Mt. Bike Club and ski camps to over 80 participants. CSAT hosts 3 major ski events each year at Cooper Spur Ski Area or Mt Hood Meadows, drawing over 300 competitors and their families from all over the Pacific Northwest region. These events are the annual Cooper Camp in December, the Cooper Duel SL Race and the Cooper Cup GS race. CSAT also holds 2 fundraisers annually including the Ski a thon and the Fall Fundraiser Party and live/silent auction event. Grab those rear entry Salomon boots and neon jacket and come kick off the 2018-19 Ski Season in style! This 21 and over event will rock the house with 80’s dance classics, Twister contest, food, drinks, and a totally rad silent and live auction. All proceeds go to Cooper Spur Alpine Team (CSAT). CSAT is a local 5013(c) nonprofit that provides ski and MTB programs for Columbia Gorge youth. The first 20 in the door get a free drink ticket. This event is a fundraiser done by the athletes to help raise funds to support the programs they are a part of. The CSAT Ski-A-Thon is an exciting event for all the athletes with lots of fun prizes and awards and ends with a CSAT BBQ. The Ski-A-Thon event raises funds to help obtain equipment, training lane space, coaches education and other items necessary to support quality athlete training. This year athletes will also have the opportunity to raise money to help support their own ski racing expenses. Any money raised over $700 may go toward next year’s program fees. Prizes will be awarded for the most laps, the most money raised, for each age-class U8 through U14, an additional prize will be awarded to the overall best costume! In our continuing effort to keep program costs down your involvement in our fundraisers are greatly appreciated. We ask for everyone’s participation to make this a successful event for our young ski racers. Your sponsorship of CSAT would provide you with exceptional access to a large target market of active, outdoor-oriented consumers. Most importantly, as a sponsor of CSAT you make it possible for our youth to enjoy a fun and healthy activity at affordable prices. Our Friend of CSAT sponsorship is for businesses or individuals interested in helping with the ongoing expenses of running our program by way of a monetary donation of $250 per year. In recognition of your donation, your name will appear on the CSAT website. If you would prefer to purchase or provide products such as gates, bibs, timing, video, or radio equipment, silent auction items, etc. we would be very happy to work with you. The cost of the product would be used to ascertain your business sponsorship level and the appropriate recognition. In consideration for your donation, we thank you for joining us in our pursuit to help our young people grow and reach for their goals. 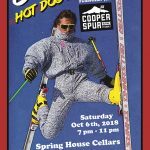 If your business is interested in becoming a sponsor of the Cooper Spur Alpine Team please contact us at csrt@gorge.net. To ensure a more sustainable financial future for the Cooper Spur Alpine Team, the CSAT Endowment was created in 2012. The long-term goals is to raise $300,000 over the next ten years to eliminate one of three annual fundraising events, consequently lessening our reliance on fundraising and keeping program fees affordable. Over the last four years CSAT’s endowment has grown to $30,000 by the end of the 2015/16 season. The goals is to grown the fund to $60,000 by 2020. The CSAT endowment is set up so after the fund reaches $10,000, 5% can be pulled out annually. To incentivize growing the fund and reaching the $60,000 goal, the Board has dedicated the interest, 5% of the first $60,000, to the Dave Howe Memorial Scholarship. The scholarship is for CSAT athletes you have strong financial need and have shown commitment and love to the sport of skiing and ski racing. An endowment is a fund that is restricted. Only the interest from the fund can be spent, not the principal that anchors the endowment. Usually, only a portion of the interest or earnings from the endowment (typically 5%) are spent on an annual basis in order to assure that the original funds will grow over time. Professional money managers oversee the endowment funds, investing the money in stocks, bonds, and other instruments. CSAT’s endowment is managed by the Columbia Community Foundation. Are Endowment Gifts Tax Deductible? Yes. The Internal Revenue Service has declared the Community Gorge Foundation and Cooper Spur Alpine Team exempt from income tax for both state and federal income tax purposes. Your check will act as your receipt and for contributions of $100 or more a receipt will be mailed to you at the end of the year. Cooper Spur Alpine Team is a non-profit(c)(3) organization. CSAT provides our community with a program designed to develop youth ski racing. Excellence in skiing and competition is only part of our mission, our programs also help youth develop important life skills and values such as cooperation, teamwork, and dedication. Email csrt@gorge.net for information on sponsorship opportunities. Businesses may also choose to advertise on the CSAT website.